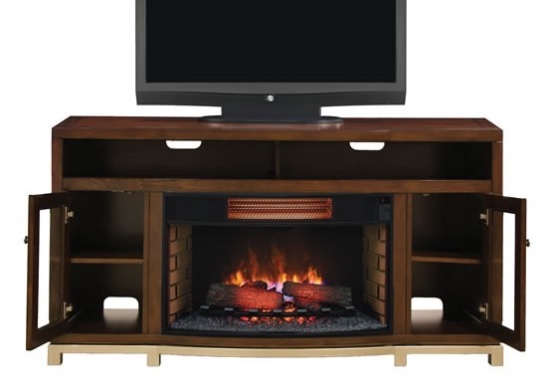 The New Wesleyan is a modern and efficient multi-functional media mantel with a brushed stainless steel base that show a partitioned center shelf for your media component essentials. 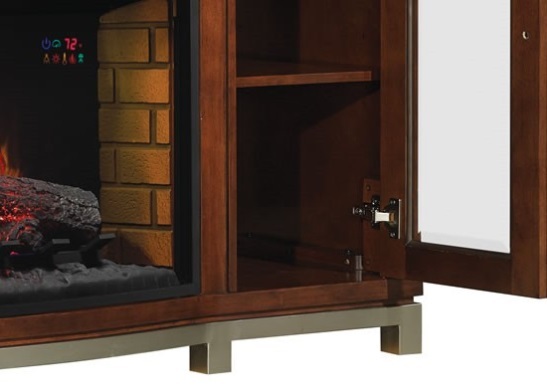 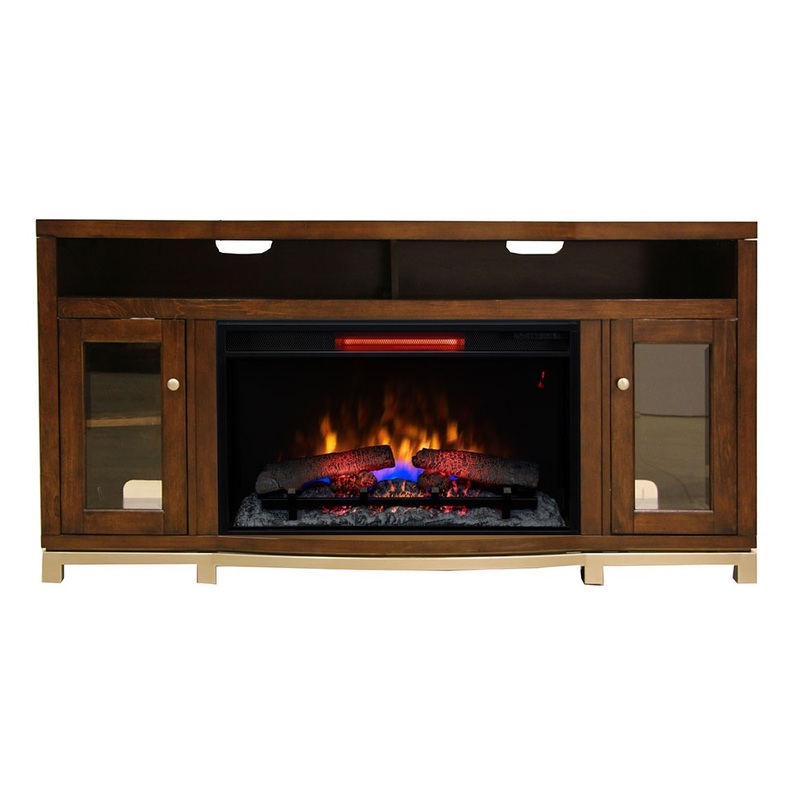 Two side cabinets with glass doors with this piece creates a perfect backdrop with a 32" ClassicFlame Electric Fireplace Insert with a dancing flame effect that can be used with or without heat for year round adornment. 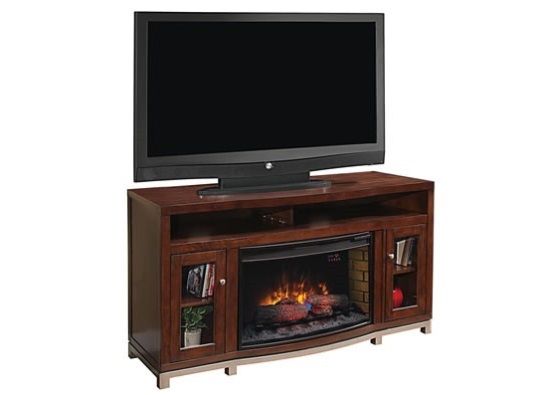 Each cabinet contains customizable shelves with veneer finish, best for storing media components, game consoles and DVD's! 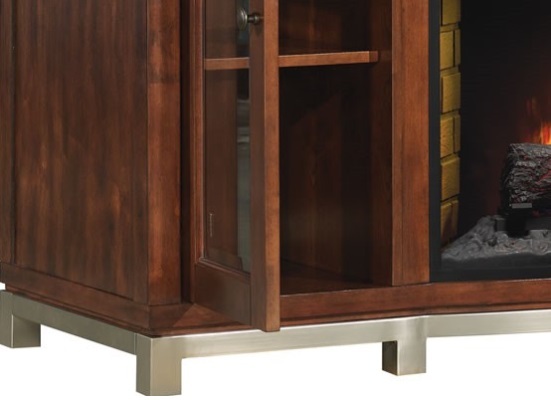 The Wesleyan is a contemporary, multifunction TV stand with a brushed stainless steel base that features a partitioned center shelf for audio video component storage. 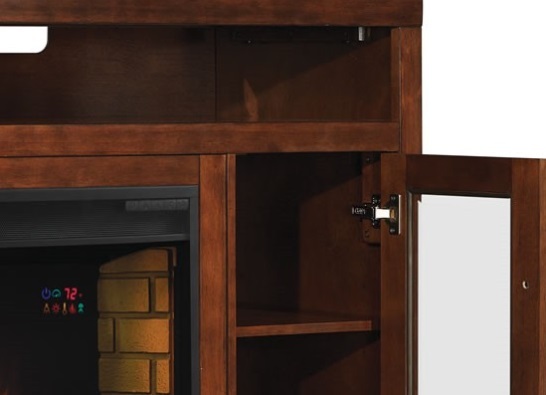 Two side cabinets with glass doors contain adjustable shelves, perfect for storing AV components, game consoles and DVD's. 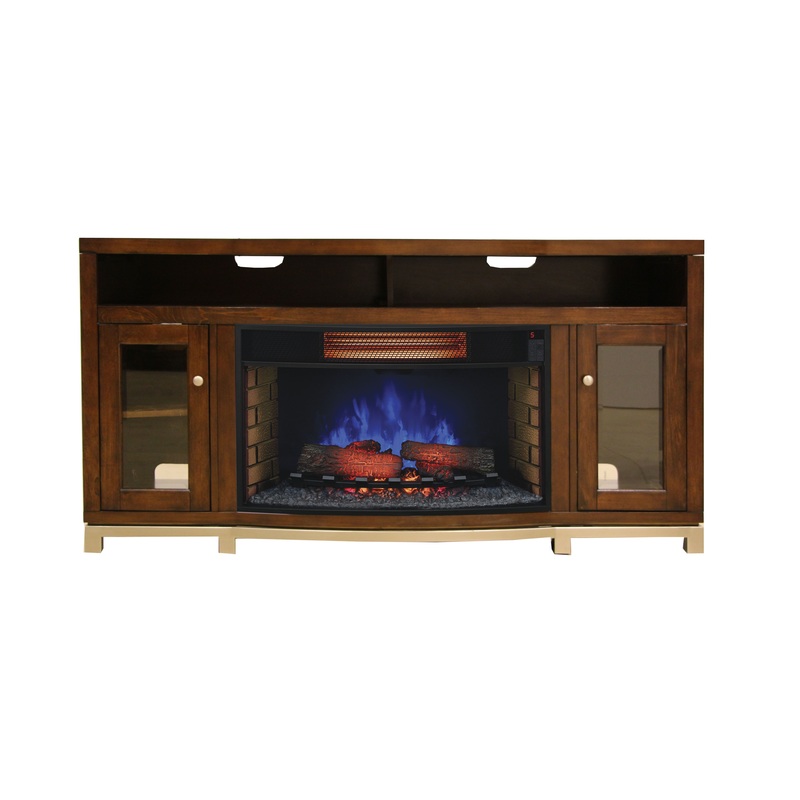 The Wesleyan TV stand complements a ClassicFlame 32" electric fireplace insert. 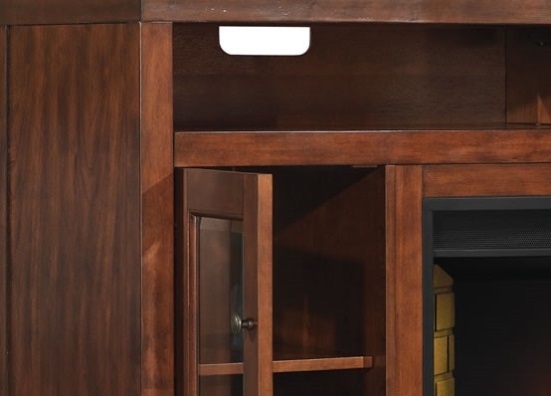 Simple, hassle-free assembly with just a Phillips head screwdriver.